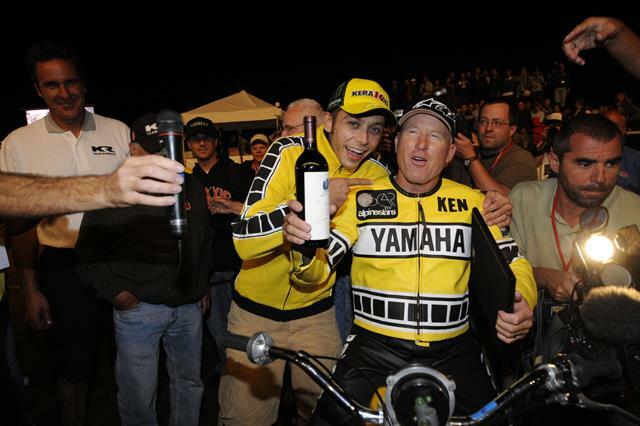 Kevin Schwantz and Kenny Roberts Senior were reunited two of the race bikes that made them famous at the Indianapolis MotoGP. Geared for 145mph at 10,500rpm, King Kenny rode the TZ to one of his most memorable victories in the 1975 Indy Mile. 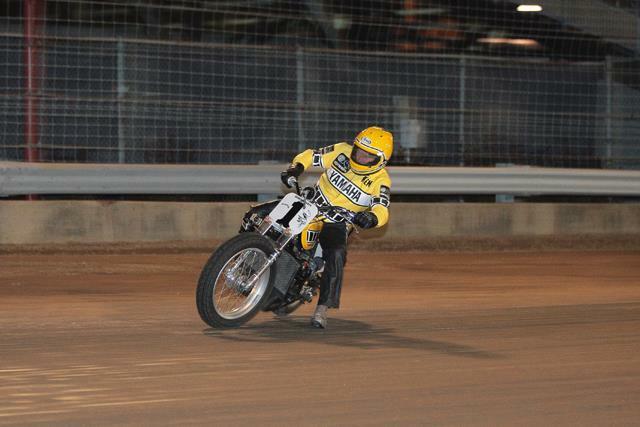 He chased down factory Harley-Davidson rider Corky Keener to take the victory in one of the most exciting races ever. 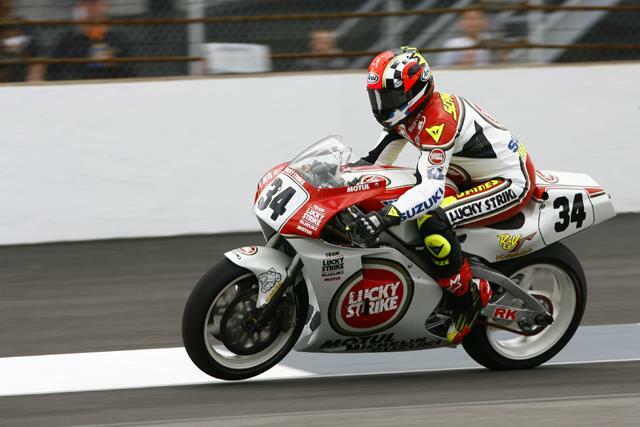 Kevin Schwantz was also reunited with the machine that made his career – his 1993 500GP championship-winning RGV500. 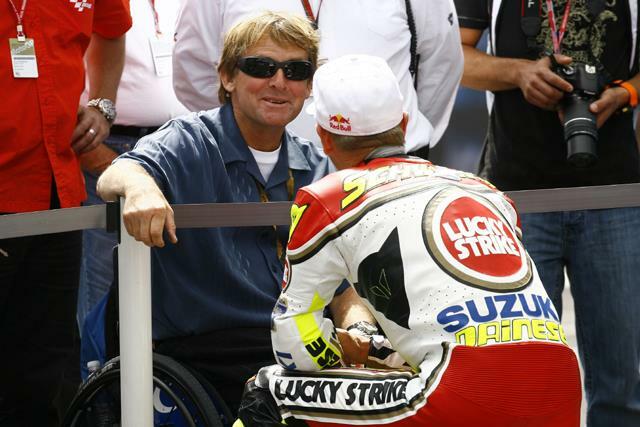 Schwantz rode the Lucky Strike-liveried machine in a year-long battle with Wayne Rainey, whose season was tragically cut-short by an accident at the Misano GP which left him in a wheelchair, leaving Schwantz to take the title in the closing rounds. Rainey also made an appearance at Indianapolis, and was spotted talking to his former adversary before the parade. See the full gallery of pictures.